Grassroots involvement is a very powerful force in politics. A message delivered by a knowledgeable constituent can go a long way in persuading an elected official to vote for or against a particular issue. OBA recognizes this reality and has rebooted its grassroots program to strengthen our industry’s grassroots. OBA Grassroots, as the program is now called, looks to build on our prior efforts to engage Oregon bankers in politics at the grassroots level. OBA would like to know if you have a relationship with a member of Congress, a state legislator, local official, or other policymaker. OBA Grassroots focuses on a regional effort, with the state divided into different geographical districts. Within these districts, we have appointed a banker to serve as a District Leader. This District Leader, in conjunction with a District Team of bankers, work together with all the state legislators in that district, both senators and representatives, to raise awareness and advocate for our industry and the Oregonians we serve. When legislators are not in session, the District Teams build relationships and educate legislators on the important issues involving banking and the key role banks play in their communities. During the legislative session, the District Teams will support OBA’s Government Affairs Team in the Capitol by communicating important messages to legislators about pending legislation. This may take the form of letter writing, phone calls, and, if necessary, testifying before legislative committees. In addition, our District Teams are asked to participate in Bankers Day at the Oregon Capitol, which takes place during the six-month session every odd-numbered year. From time-to-time we will also ask our District Teams to assist us on federal advocacy. Those efforts will most likely take the form of calling or writing our congressional delegation as important issues arise. OBA Grassroots is always looking for additional bankers to help out. If you or someone in your bank would like to join OBA Grassroots, contact Kevin Christiansen at (503) 576-4123 or kchristiansen@oregonbankers.com. Every other year, coinciding with the full Oregon Legislative Session, Oregon bankers from across the state gather for a day at the Capitol in Salem to engage in a dialogue with lawmakers about the important leadership and service roles Oregon banks play in their local communities, as well as the current policy issues facing the financial services industry. 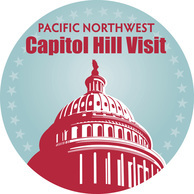 There is no more important time than now for Oregon bankers to build relationships with our members of Congress. Banking issues continue to be in the forefront of the legislative and regulatory arenas. The passage of the Dodd-Frank Act wasn’t the end of the dialogue; it was the beginning. Hundreds of new rules and regulations have been, or will be, proposed based on this sweeping legislation. And let’s not forget attempts to expand credit union authority, new accounting rules, and other impactful issues.